Dr. Charles-Henry Rochat obtained his medical degree from the University of Geneva in 1982, was awarded the title FMH (Federatio Medicorum Helveticorum, Swiss Medical Association) specialist in Urology in 1987, became a member of the European Board of Urology in 1992 and obtained his degree in Advanced training in Surgical Urology in 2002. He divides his time between Advanced Medicine and Humanitarian Medicine. From March 1999, he became one of the pioneers in laparoscopic surgery, practising the first laparoscopic radical prostatectomies in Switzerland. He established the Multidisciplinary Centre for Robot-Assisted Laparoscopic Surgery (da Vinci), which opened in 2003 at the Clinique Générale-Beaulieu (Geneva). 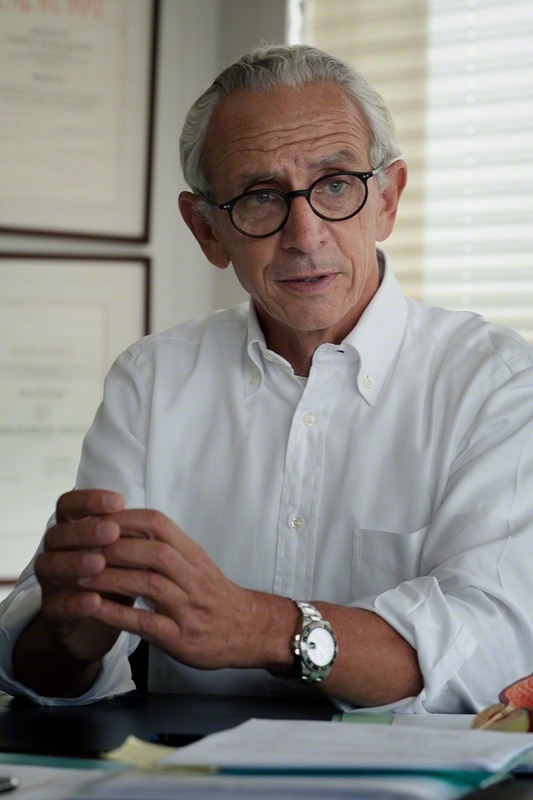 In 2013, he co-founded and directed the Swiss International Prostate Center (SIPC). His experience in robotics, in general, and particularly in robot-assisted prostatectomy is widely acknowledged. He is the author of studies, articles and book chapters in this field. In particular, the Clinique Générale-Beaulieu has been under his leadership since 2015; it is, in fact, the only institution in Switzerland to be accredited “Host Center” by the European Association of Urology (EAU) for training in robot-assisted radical prostatectomy using the da Vinci® robot. In parallel, he was a Consultant and Assistant Physician in charge of Urologic Surgery at the Hôpital de la Chaux-de-Fonds (1989-2013) and a Consultant in the Department of Urology at the Hôpitaux Universitaires de Genève, HUG (Geneva University Hospitals) 1989 - 2006. Passionate about oncological and reconstructive surgery, his commitment to humanitarian medicine in 1983 led him to participate in numerous wartime missions as a surgeon. In 1993, in order to pursue a more sustainable activity which would be focused on teaching, he developed treatment, training and prevention programmes in the field of obstetric fistula in the Republic of Benin. These programmes are now internationally recognised. Since 1996, he has been the Consultant in charge of obstetric fistula surgery at the Tanguiéta Hospital in Northern Benin. Amongst his scientific and academic activities, Rochat MD is an Associate Professor of Urology at the Faculty of Health Sciences in Cotonou (Benin), Visiting Associate Professor in the Department of Obstetrics & Gynaecology and Women’s Health of the Albert Einstein College of Medicine of Yeshiva University (New York City), Board Member of the EAU Robotic Urology Section and Co-Director of the Executive Committee of the Geneva Foundation for Medical Education and Research (GFMER). In addition, he was President of the ERUS Congress in 2005. He holds the Commander’s Cross of the Order “Pro Merito Melitensi”, awarded by the Sovereign Military Order of Malta, and was further honoured with the title: Officer of the National Order of Benin. Dr. Rochat is a member of numerous scientific societies and regularly serves as an expert for international scientific congresses.